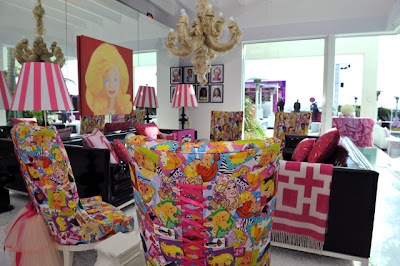 Kitsch is a German word denoting art that is considered an inferior, tasteless copy of an extant style of art or a worthless imitation of art of recognized value. The concept is associated with the deliberate use of elements that may be thought of as cultural icons while making cheap mass-produced objects that are unoriginal. Kitsch also refers to the types of art that like-wise, are aesthetically deficient (whether or not being sentimental, glamorous, theatrical, or creative), and making creative gestures that merely imitate the superficial appearances of art through repeated conventions and formulae. Kitsch (English pronunciation: /ˈkɪtʃ/, as in German) is a German word denoting art that is considered an inferior, tasteless copy of an extant style of art or a worthless imitation of art of recognized value. The word was absorbed directly into Yiddish with the same meaning. The concept is associated with the deliberate use of elements that may be thought of as cultural icons  while making cheap mass-produced objects that are unoriginal. Kitsch also refers to the types of art that like-wise, are aesthetically deficient (whether or not being sentimental, glamorous, theatrical, or creative), and making creative gestures that merely imitate the superficial appearances of art through repeated conventions and formulae. Excessive sentimentality often is associated with the term. Kitsch was applied to artwork that was a response to the nineteenth century art, whose aesthetics convey exaggerated sentimentality and melodrama, hence, kitsch art is closely associated with sentimental art. 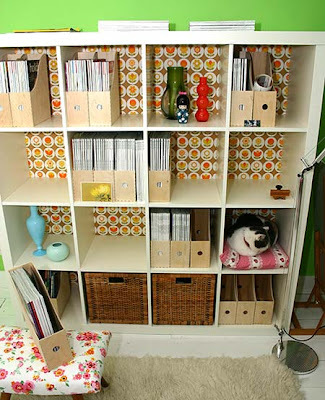 Kitsch: I'm all for it! Kitsch.... wow!! sure looks interesting.. Nice informative post! nice post vasu! 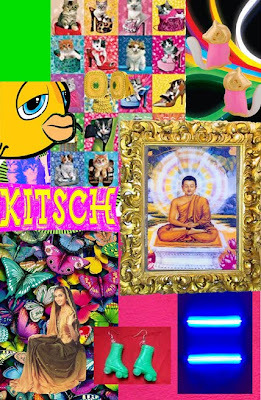 i did not know its called kitsch! The last photo in the pic of the cupboard with a pattern at the back is being used n many hindi serial backdrops with a traditional getup. i was always admiring that....really amazing info!